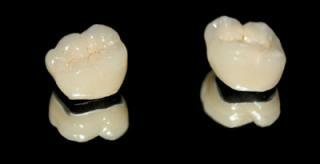 Metal- free restorations may be increasing in popularity, but a large majority of our practices still prescribe porcelain fused to metal single and bridge units. Here at Primodent Studio, we have a specific team of technicians who create each PFM case. Our stringent quality control procedure guarantees each case provides exactly what you’ve prescribed; designed specifically to exceed your expectations. Includes Jensen’s JP- 5 Nobel alloy which is ideal for any type of restoration from single units to long span bridges. Includes Jensen’s Security high Nobel alloy that is strong and possesses a grain size that eliminates marginal flaking. Includes Jensen’s Classic IV high Nobel 88% gold alloy with a deep yellow color that polishes to a beautiful luster.